Rudy M. Camacho is one of the most well-known and respected former senior executives in U.S. Customs Service and U.S. Customs & Border Protection. He specializes in providing international customs and border management guidance to public and private companies and government agencies related to a wide array of binational initiatives and reconstruction projects. He has contributed to projects related to international supply chain security, customs and Trade Partnership Against Terrorism Program certifications, investigation consulting and Technology Integration and Non-Intrusive Inspection Technology applications. Camacho is also the five-term chairman of the International Committee of the San Diego Regional Chamber of Commerce and was recently appointed to a newly established task force within U.S. Customs & Border Protection to evaluate and make recommendations to CBP regarding security, operations and policy issues. He also wrote and presented “The Smart Border 2010 Plan,” for the Mexico Business Center, a division of the San Diego Regional Chamber of Commerce. This plan represented the Southern California/Baja Region and was used to promote private sector and public agency infrastructure and border facilitation programs, while supporting border enforcement. In addition, Camacho is the sole liaison to the U.S. Customs & Border Protection Office of Field Operations and U.S. Border Patrol for the Gateway Conveyor Belt Project. This project is the only binational conveyor belt project in the U.S. and utilizes aggregate products mined in Mexico and imported into the U.S. for distribution. Previous to his accomplishments at Camacho & Associates, Camacho spent more than 33 years working for U.S. Customs & Border Protection. He was appointed the first U.S. Customs Service Executive Director of the Southwest Border. Camacho was directly responsible for enforcement program reviews, operational funding and multi-agency coordination, while increasing the levels of enforcement and interdiction activities between Customs & Border Protection, Office of Field Operations, Border Patrol, and local law enforcement agencies involved in drug interdiction along the entire U.S./Mexico border. Camacho was honored with the 1998 Meritorious Presidential Rank Award for his leadership role in coordinating the diverse agency mission along the California/Mexican border. He received the award from then Treasury Secretary Robert E. Rubin in Washington, D.C. and, at the time, was one of only six senior executives nationwide to have received the accolade. 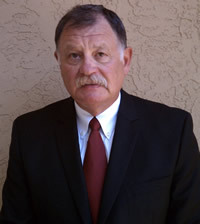 Previously, Camacho served as the Director of Field Operations for the Southern California Customs Field Office. The field office encompassed the full spectrum of port enforcement, inspectional and commercial activities. This encompassed not only the busiest land border crossing in the world in San Diego but also commercial cargo, cruise ship seaport, seized property management, international airport facilities and all passenger inspection operations in Southern California. During Camacho’s leadership, the San Diego Field Office was recognized numerous times and was awarded several Commissioners’ Unit Citations for its successes as a national leader in the development and management of new enforcement techniques and traffic management initiatives. Camacho also served as the Pacific Regional Commissioner for U.S. Customs Service with oversight for port enforcement, inspection and commercial operations in California, Oregon, Washington, Alaska, Idaho and Hawaii. The Pacific Region was the largest and one of the most diverse regions within the entire Customs Service, consisting 3,500 officers and employees and an annual budget of $860 million. The Arizona native graduated from Harvard University’s Kennedy School of Government and Senior Managers Government program. He resides in San Diego with his wife of 30 years.